Cobra didn’t attempt to pull of a slick marketing move with these golf clubs. They are simply described as “oversized” because that is what they are. The clubhead of these golf clubs are big and designed with high handicappers in mind. The goal of golf is to have fun. And we typically have more fun when we play well or at least play better than we played the last time. 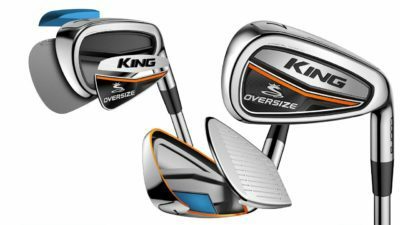 The King Oversized golf clubs are intended to make the game easier and a little more fun. They are fantastic for distance and incredibly forgiving. Cobra is obviously looking to make your golf journey a little more enjoyable with this set of golf clubs. 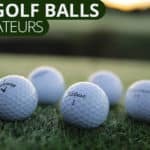 If you’re interested in reducing shot error on the course and hitting the golf ball further, these are among the best golf clubs for your needs. 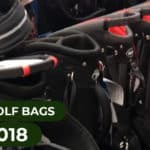 Let’s get into how these golf clubs will help your game. When elite golfers look down at a classic blade iron they typically love the simple, clean, and powerful design of blades. When golfers who are not elite (all of us) look down at the tiny and unforgiving clubhead of a blade iron, we wonder how anyone manages to them consistently. The truth is, an elite few hit blade irons consistently and most golfers shouldn’t touch them. 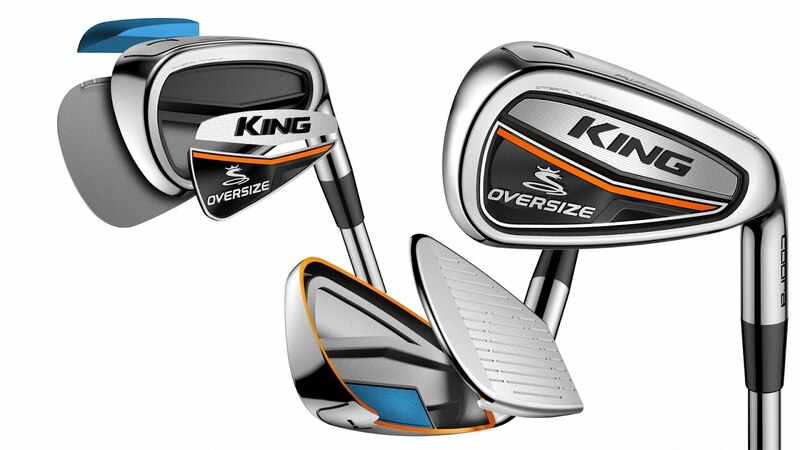 The King Oversize irons are not meant to wow your buddies with cool aesthetics. These golf club are meant to help you beat your buddies. Ask yourself this question, when you’re on the 19th hole after a horrible golf round, do think about how good your golf clubs look? If you’re anything like us, all you can think about is how you played like crap. Good news, these golf clubs will help. Everything about this club is big. 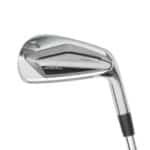 It has a large clubhead with a big sweet spot. Cobra refers to the huge sweet spot on this golf club as the “Sweet Zone.” This sweet zone isn’t the size of Texas, it’s the size of the continental United States. You will hit more pure shots with these golf clubs and you will get the ball in the air. The technology behind the sweet zone is also great. The hollow back design provides a bigger and more distributed sweet spot so you’ll find yourself hitting more functional golf shots that give you more birdie and par opportunities. 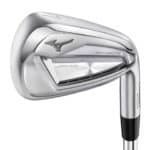 The King Oversize irons feature a hollow face which allows for a lower center of gravity. A lower center of gravity helps golfers get the ball up in the air with a higher launch angle. A more optimum trajectory with a faster ball speed means the golf ball will go farther. Not only will you keep the ball on line with these clubs, but you’ll hit it further as well. The King Oversize Irons also help minimize or eliminate fat (or chunked) shots because they feature a very wide sole. 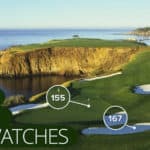 This means the divots you take will be much shallower and you should have an easier time picking the ball clean off of tight lies. 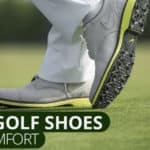 On the occasions where you hit the ground before you hit the golf ball, the wide sole will bounce or brush off the grass through the golf ball. This will minimize the damage on those frustrating 40 yard skippers when you’re trying to hit it 140. As far as Game Improvement Irons go, it’s hard to imagine a better option than the King Oversize Irons by Cobra. These really are some of the best golf clubs for hitting the golf ball further and straighter. The Cobra engineers obviously had a singular focus when designing this set of golf clubs, and they nailed it. If you want to immediately play a little better by eliminating the terrible shots, these are the best golf clubs for you.